France GRI is the annual meeting dedicated to investors, developers and lenders active in the french real estate market. Participants will gather in Paris in April for two days of networking and exchange on the market opportunities and challenges. The discussion format enables you to interact with everyone in the room. Quickly find the right partners for your business, build high value relationships, and continue the conversation afterwards. Simple fin de période d'expansion rapide ou début d'une recession mondiale? Quelle corrélation entre les risques économiques/ géopolitiques mondiaux et le risque financier? Patrick began his career in 1975 in economic forecasting and modelling at the French Ministry of Finance. He worked at the Economics Department of the OECD (1980), at Banque de France (1985) and served as the Head of Research at ENSAE. Throughout his career, Patrick has been a visiting professor at a number of Universities including, Dauphine, ENSAE, Ecole Nationale des Ponts et Chaussées, HEC Lausanne, Ecole Polytechnique. He is now Professor of Economics at the Paris School of economics. He combines these responsibilities with his research work. Patrick ARTUS is also a member of the Board at Total and Ipsos as an independent director. He has been a member of council of Economic Advisors to the French government. Début D'une Nouvelle ère- quel futur pour l'immobilier? He began his career at the Direction générale des impôts (1970-1983). He joined GAN group as Director, Director of Life Insurance Management (1990-1993), Chairman of Socapi (1992-1996), Deputy-CEO and Executive Vice-President of Insurances (1993-1996). He was Chairman of the CIC (1994-1996). He joined Crédit Agricole in 1996, Deputy CEO (1998-2003), Deputy Director of Operations and Logistics, Director of Operations and Logistics, Director of the Real Estate, Purchasing and Logistics Department, and Vice-Chairman of Predica, CEO of Predica (2009), Director of the Insurances Department. From 2010 to 2018, he has been Chairman of the Board of Directors of Gecina and also CEO. He is President of Viparis (congresses and exhibitions) since 2017. Karim Habra is responsible for Ivanhoe Cambridge European platform and its future growth. He oversees all the company’s real estate operations in Europe including its development activities. Karim Habra began his career with GE Real Estate in 1998 and was given responsibility for its Central European operations in 2003, before joining JER Partners in 2008 as Managing Director, European Funds. In 2012, he joined LaSalle Investment Management as Managing Director of Central Europe before serving successively as Managing Director of France, then Head of Continental Europe. Mr. Albrand joined Hines in 1995 and has been instrumental in the establishment and supervision of its French subsidiary. He has been active in the overall development of Hines France’s both on the Development and the Investment Management activities. Prior to working at Hines, Mr. Albrand was the Director in charge of Development at Bouygues Real Estate in Paris (1989-1995). He was a Senior Research Associate at Lawrence Berkeley Laboratory in Berkeley, California (1983-1987), and prior to that, he was with the Ministry of Interior of Morocco (1980-1982). Mr. Albrand received a Master in Architecture at Ecole des Beaux-Arts in 1980 and a Master in Real Estate Development from Columbia University in 1988. Dr. Ingrid Nappi-Choulet, FRICS, is a Professor at ESSEC Business School and is the founding Director of the ESSEC Real Estate Economics Chair and the RICS Real Estate Track at ESSEC Business School. She received her doctorate in Economics from the University of Paris and completed her post-doctoral stay at Wharton's Real Estate Department at Wharton School of Business. She got an HDR (Habilitation à diriger des recherches) from the University of Paris-Dauphine and from Sciences Po Paris. Her research interests focus on commercial real estate markets and corporate real estate management. She is the author of several books, the last one being "L'immobilier d'entreprise, analyse économique des marchés" (2013, 2nd edition). Engineering graduate from École Polytechnique and École des Ponts, Nicolas Ferrand also holds a Masters degree in City Planning from the MIT. He is CEO of SOLIDEO, the public body responsible for delivering the permanent venues for the Olympic and Paralympic Games in Paris in 2024. He previously headed the public entities responsible for developing the new town of Marne-la-Vallée, EPAMARNE and EPAFRANCE. He was the first Managing Director of the Saint-Etienne Public Development Company (2007-2011) then Managing director of urban planning for Rennes Métropole (2012-2014). Before that, he was a Technical Adviser responsible for urban design and planning at the Ministry of Infrastructure and Transport (2004-2007). Value-Add- Restructurations et rehabilitations, le jeu en vaut-il la chandelle? Taux: 2019, fin de décénie, début d'une nouvelle ère ? Investissement Opportuniste - Transformations d’immeubles de bureaux en logement, seule formule gagnante ? SCPI/ OPCI- Succès assuré ou futur menacé? As Senior Vice President, Investments, Europe, Arnaud Malbos is responsible for proposing, implementing and supervising Ivanhoé Cambridge’s European investment activities in the office building, logistics and shopping center sectors in Europe. Beverley est Présidente de LaSalle France responsable de la plateforme française pour cet acteur mondial qui compte près de 60 milliards de dollars sous gestion. En France, avec plus de 50 employés, les actifs sous gestion s’élèvent à 3.7 milliards d’euros et à cela s’ajoute aussi des équipes de gestion et de finance des fonds pan-européens. Depuis plus de 16 ans, Beverley a travaillé au sein de plusieurs équipes du groupe au niveau pan-européen notamment chez LaSalle au Fund Management, à l’Asset Management, à l’Acquisition. Plus de 50 actifs ont été acquis, dévélopés, loués, financés et vendus à travers l’Europe sous sa responsabilité. Beverley est membre de la RICS et membre du comité d’investissement Europe de LaSalle. David heads the Paris real estate team at leading international law firm Herbert Smith Freehills. A highly experienced practitioner with over 15 years' experience in the field, he specialises in private equity and transactional real estate. He provides transactional support for French and international clients. David has a particular experience in complex real estate investment, real estate finance, real estate fund structuring and real estate restructuring. In addition, David has developed a strong expertise in the hospitality and leisure sectors. Diplômé d’un Magistère de Paris IX Dauphine, CFA charterholder, SFAF, Gilles CASTIEL possède une longue expérience en financement de biens immobiliers en Europe. Avant de rejoindre SCOR Global Investments en 2013, Gilles était, de 2005 à 2013, Directeur du département origination France d’Eurohypo à Paris. Il a précédemment occupé différents postes en financement au sein du groupe CDC puis chez Natixis. Guillaume has a 15-year experience in the real estate industry and is Managing Partner at FARO CAPITAL PARTNERS, a boutique real estate investment and asset management company. He held senior positions at AEW and CBRE Global Investors from 2006 to 2017. When at AEW, he was head of offices asset management, in charge of AM and disposals for France, Benelux and Spain. He managed a Pan-European portfolio with a total value of c. €7 bn with a team of 14 professionals. Fellow member of the RICS, he holds a Masters degrees in Civil Engineering (ESTP School) and Finance and Real Estate (Paris Dauphine University – where he is also a teacher). Jean-Philippe Vergnol is president of JPMAM Real Estate France and serves as Head of Acquisitions for France. With JPM for 11 years, Jean-Philippe successfully deployed both core capital for sovereign wealth funds and value- add capital for commingled funds. Prior to joining JPM in 2006, he was Head of Acquisitions at DTZ AM for 6 years where he advised opportunistic investors. Prior to that he was in Archon Group’s acquisition team analysing investment opportunities on behalf of the Whitehall Funds. Jean-Philippe holds a first class specialized Masters of Private Banking & Financial Planning from ESCP-EAP and a Master’s degree in Economics and Finance from the ESLSCA Business School. He is fluent in French and English. Mr. Astruc has joined EQT Partners in April 2016 as a Director of EQT Real Estate. He has over 14 years of experience in the real estate and investment management industry. Prior to joining EQT Partners, Mr. Astruc was Senior Fund Manager for the Alternatives & Special Situations team of AXA IM Real Assets, transacting approx. €1bn in hotel, hospital and data center investments. Previously, he worked for six years with Pramerica Real Estate Investors as Head of Transactions for France and Vice President in the Merchant Banking team, for Cambridge Place Investment Management focusing on value add investments and at GE Real Estate investing in France. Olivier Katan is a Managing Director for pbb Deutsche Pfandbriefbank , Head of International Clients, France. Before joining pbb in October 2013, he headed since 2005 the Origination team for France at Eurohypo AG. Olivier, who has over 20 years work experience in structured and asset finance, was previously responsible for LBO and asset financing at CDC Ixis and CLF Dexia. He focuses on origination and structuring of “tailor made” financing solutions for international clients buying real estate assets or portfolios in France and throughout Europe. He holds a postgraduate MSc in International Finance from HEC school of management Paris and he is a civil engineer (ESTP). Real estate specialist and entrepreneur. Patrice has 30 years of experience in real estate as executive manager, entrepreneur and investor working cross-borders with international clients and business partners. Patrice has raised, invested and managed over 10 billion € (equity and debt) for French/European and international institutional clients. Arnaud Taverne est diplômé de l’Université Paris IX Dauphine d’un Magistère Banque Finance Assurance (License, Master 1 et Master 2) et d’un Master 2 (DEA) en Economie et Finance internationale. Il a débuté sa carrière chez PWC en 1997 (Auditeur Senior Banques et Assurance) avant de rejoindre Arthur Andersen en 2000 (Restructuring Transaction Advisory Services Paris, Senior Manager).En 2006, il a intégré la Direction Financière de Veolia Transport en tant que Responsable acquisitions. Il a rejoint la Direction Financière du Groupe Caisse des Dépôts fin 2007 au sein du département immobilier compte propre et a pris la direction générale de CDC GPI en juillet 2014, société d’asset management détenue à 100 % par la CDC. Founder and Executive Chairwoman of OREIMA, Brigitte Sagnes Dupont has developed a leading investment and asset management group. Established in 2005, OREIMA today manage a portfolio of €1,2 billion in Real Estate assets for institutional clients, both French and International, with €1billion asset under management. A recipient of the French legion of Honour, Mrs. Sagnes Dupont is a graduate of ESSEC, a member of the French “ Cercle des femmes de l’immobilier”, and is a member of RICS (Royal Institution Of Chartered Surveyors). François Villemain joined Barclays in 2015 and is in charge of the coverage of French and BeLux Real Estate clients. This role enables François to offer the full range of investment banking services to the Real Estate companies which encompass strategic advisory, capital markets and asset financing, Equity raising and FX/rates/derivatives hedges. Before joining Barclays, Francois spent 10 years at Deutsche Bank where he initially specialized in Equity Derivatives Trading following a dual graduation from both Telecom ParisTech and Imperial College London (MSc of Mathematics and Finance). In 2010, he joined from Trading the Capital Markets and Treasury Solutions team at DB where he started covering the French Real Estate sector. Gautier Beurnier is responsible for sourcing french deals for pan European and domestic funds and for international clients through club deals and separate account mandates. Gautier has over 25 years of experience in RE and risk management, most recently as CEO for ATEMI, a French RE developer and asset management company. He has also worked for Unibail in Paris as well as Marsh Inc in New York, where he specialized in alternative risk finance and risk management consulting. At ATEMI, Gautier was responsible for €2 billion of assets under management. He has led the financing and asset management of major projects including Coeur Défense, Europe's largest office building, and an 80,000m2 mixed use redevelopment in Marseille’s city center. Renaud Jezequel is General Manager of Helaba (“Landesbank Hessen-Thüringen”) Paris Branch since April 2014. He has more than 30 years of international work experience in real estate (inc. hospitality) and banking, combining financing, acquisitions, asset management, development and advisory, equally spent between London and Paris. Between 2011 and 2014: SVP in charge of Accor’s M&A and real estate transactions. Between 2005 and 2011: pbb Deutsche Pfandbriefbank’s MD in Paris. Prior to 2005: London-based working on a pan-european basis for Credit Suisse in real estate investment banking, for GE Capital as Acquisitions Head for the Specialty Finance Division, and for JP Morgan in the Financial Institutions Group, mostly in M&A. Samer is a Client Executive within LaSalle's Client Capital Group. He joined the team in September 2014 and is responsible for managing and developing relationships with clients and prospects in the Middle East and North Africa, Azerbaijan, France & Belgium. Samer previously worked with LaSalle's Acquisitions team, sourcing investments opportunities and executing acquisitions as well as developing Strategic Partnerships. Prior to this, he spent four year as a project engineer in Lebanon then joined JLL's Research department in Paris and covered roles in the Valuation Dpt and the Capital Markets team. He holds an MBA, from ESLSCA in Paris and a Msc in Civil Engineering from the Lebanese University, Beirut. He is a Member of RICS. Bruno is the general secretary of Novaxia and Deputy MD of Novaxia U, member of the Executive Committee and a graduate of IEP Paris, a Master of Paris-Dauphine University and an MBA from New York University. He worked successively for the Altus Finance, the Consortium de Realisation and Stam Europe where he developed an expertise in real estate financing and fund management. Jocelyn de Verdelon is a managing director at PGIM Real Estate France SAS and Head of France, Spain & Portugal. Based in Paris, Jocelyn is responsible for the strategic growth of the businesses in these countries. Jocelyn is a member of the European Investment Committee and serves on the European Executive committee. Prior to joining PGIM in 2013, Jocelyn was office investments director at Altarea-Cogedim Group in Paris, responsible for the sourcing and execution of all acquisitions, focusing on value-add and opportunistic deals, as well as playing a key role in the fundraising, development and asset management activities at the company. He was also a member of the Altarea-Cogedim Executive Management Committee. Laurent Diot is CEO of HARVESTATE Asset Management. He was previously the CFO of NEXITY from 2008 to early 2014. He has served as Vice President of NEXITY in charge of international operations and CEO of NEXITY International (2002-2007) and as Vice President, Business Development of NEXITY (2000-2002) in charge of mergers and acquisitions. Before joining the CGIS (Compagnie Générale d'Immobilier et de Services) in the Vivendi group as Director of Audit and Strategy (1996-2000), he served as project manager at the Compagnie des Eaux et de l'Ozone (Générale des Eaux Group). He holds a degree from the Ecole des Hautes Etudes Commerciales (H.E.C.). Michèle is a partner who specialises in advising public institutions and local authorities on legal aspects of their real estate projects. Her expertise spans from urban planning to public procurements through social housing and public property law. She has been particularly involved on the legal aspects of the “Reinventer Paris” project. She heads the internal consulting team dedicated to legal innovation and urban development – the “LAB” – and is Cheuvreux’ deputy CEO. Michèle has been a partner since 2006. In addition to her roles at Cheuvreux, she teaches real estate law at the Ecole du Notariat in Paris, and at La Sorbonne on the Master’s degree “Construction, Urban planification and Contracts”. Pascal Schmitz is a Real Estate partner at Dentons, based in Paris. With more than 20 years of experience, Pascal represents clients in all aspects of commercial real estate and real estate finance, including corporate and investment property acquisitions and disposals, acquisition financing, and joint ventures. He also focuses on the structuring of real estate funds, including French OPCIs. Pascal has extensive experience in all areas of property management issues, such as commercial leases, development agreements, and construction law. He advises German, French, European and US investment funds on transactions throughout France and the region. Rémi has 18 years of experience in the real estate industry and leads the Firm’s activities in France. Prior to joining Benson Elliot in 2006, Rémi was an Investment Manager at Lehman Brothers Real Estate Partners where he was responsible for four real estate portfolios in France and Italy. Previously, Rémi spent six years at Archon Group (a Goldman Sachs Group company), latterly as Portfolio Manager where he managed five portfolios valued at €1.8bn. Rémi holds a Masters in Finance & Real Estate from Paris University XII and a Bachelor’s in Law & Tax from the Sorbonne University. Rémi is a native French speaker and is fluent in Italian. Diplômé de l'ISG en 1987, Eric Cosserat débute sa carrière dans une banque française à New York, après quoi il revient en France pour travailler dans l'entreprise familiale, PERIAL. Ses premières fonctions reposent sur la diversification des produits financiers tels que les assurances vie et comptes immobiliers, puis la charge des fonds économiques et la responsabilité du service clients. Sept ans après, il devient Directeur Général puis, en 1999, il est nommé Président du Directoire du groupe. Eric Cosserat est également Vice-Président et membre du bureau de l’ASPIM (Association Française des Sociétés de Placement Immobilier) et Administrateur de l’IEIF (Institut de l’Epargne Immobilière et Foncière). Olivier Loussouarn, 46 ans, est le Directeur des Investissements de Sofidy. Diplômé de l’ESC Marseille et de l’Université du Québec à Montréal, il dispose d’une expérience de plus de 20 ans dans les domaines de l’investissement, du financement et de la transaction immobiliers. Il a rejoint Sofidy en 2000 et en devient Directeur des Investissement Immobiliers en 2008, après un passage chez Lasalle Investment Management. Priscilla joined La Banque Postale in 2016 to create the arrangement desk of Structured Real Estate Loans. She has a 10-year experience in corporate and investment banking with CaCib in New York and Paris and an above 10-year experience in origination and execution of Real Estate Lending transactions in CaCib, DekaBank and currently La Banque Postale. She also had a 4-year experience as debt advisor in Hong Kong and is professor at Edhec in Real Estate Finance since 2009. Priscilla graduated from Edhec Business School and Oxford Brookes University. She is MRICS since 2016. Véronique Donnadieu joined ASPIM as Chief Executive in September 2018. Before this, she was Director of International and European affairs and headed the area of commodities derivatives markets at AMAFI (Association française des marchés financiers / the association for the financial markets in France). For two years, she worked for CLCV, the consumers' Association, as European affairs Advisor and for four years, was with the Clifford Chance Law firm as a legal officer in the M&A department Véronique Donnadieu holds a postgraduate diploma (Master 2) in European Law from Paris XII University as well as a Masters in Political Science from Bordeaux Montesquieu University and a diploma in European Law from the Catholic University of Louvain. Vincent Mahé graduated from the French Ecole Normale supérieure and Ecole Nationale d’Administration, and was a student in economics in Cambridge (Trinity College) and Princeton (Woodrow Wilson School). A member of the French Conseil d’Etat, Vincent was an advisor to French President Jacques Chirac (2002-2005) and served as chief of staff of the Minister of Social Affairs and Health (2005-2007). After 4 years as an investment banker at BNP Paribas, he joined the SNI Group in 2012 as General counsel and Head of Asset management. Logistique & Entrepôt Du Futur- Fin du modèle traditionnel ? Résidentiel- Nouveaux terrain de jeux des institutionnels ou lubie temporaire? Core offices - Office is dead, long live co-working? Centres commerciaux - Produit obsolète des Trente Glorieuses ou moment idéal pour faire ses emplettes? Serviced Residences & Hospitality - Too early to get excited or smart bet in the late cycle? France & Benelux - High street retail, Europe’s king or risky business? Adrien is responsible at Standard Life for investments, asset management and disposals in France and Belgium. He has 10 years’ experience in financial services and real estate. He started his career in 2003 at PWC and SGCIB in real estate M&A team. From 2007 to 2014, he worked at GE Real Estate and AXA REIM in the transaction team, being responsible for sales and acquisitions. He joined Standard Life in February 2014 as Portfolio Manager. Aline Divo is a partner in the Real Estate Legal Department. She works in real estate law and in particular in the following areas: commercial leases, hotel leases, off-plan leases, building leases, business leases, transfers of lease rights, sales of operating assets, property sales, property development contracts, delegated project management contracts. She provides advice, drafts legal documents and acts in disputes. Aline has been advising both French and international clients for nearly 20 years. She is part of the editorial team of Francis Lefebvre's Commercial Leases and Property Management Handbook. As Head of Real Estate for France and Belux, I lead a team of 10 people in Paris. I joined DWS in 2013 with 15 years of experience in transactions and asset management. Prior to Deutsche AM, I was Investment Director for Europe by Ivanhoé Cambridge having executed several transactions in retail and offices in France, the UK and Netherlands. Previously, I held different positions at Gecina covering transactions in offices, logistics and residential, and asset management in offices, retail and residential. I was graduated from ESTP Engineering School in Paris. Christophe Bouthors graduated from EDHEC business school, he started his career in 1996 within the Audit company ARTHUR ANDERSEN, in France and in the USA, where he led for 10 years consultancy missions for private equity funds. From 2004 to 2010, Christophe Bouthors took several management positions within AKERYS, which was then one of the major actors in the residential properties in France. He’s nominated CFO in 2007. He then spent 2 years, at ALVAREZ & MARSAL, one of the world leader in management consultancy, time during which he led several consulting missions and interim management. He joins « Groupe Panhard » in 2012 as Chief Executive and becomes chairman of the executive management board in 2017. Chris is Managing Director of M7 Real Estate France and is responsible for acquisitions and asset management throughout France. Chris has 30 years of real estate experience, with over half of that time spent working in Paris. Chris came to Paris in 2000 since when he has worked for RBS, Kenmore and Tamar Capital Partners before joining M7 Real Estate in 2014. M7 Real Estate France currently manage around 80 urban logistic and office assets valued at around €400 million located primarily in the Ile de France but also in the regions. Jean-Charles VIARD has been working with Ivanhoé Cambridge for more than 15 years now. As head of Asset Management Jean-Charles covers the European portfolio made of offices, shopping centers and indirect investments. Before that, he gained a wide operational know-how with the office developer SARI then Nexity, being in charge of project development, business development, engineering and leasing. Jean-Charles has an extensive experience on how to handle large projects and large deals. Thibault Delamain, MRICS, is responsible for AG Real Estate investment and asset managment in France. In is role Thibault is in charge of defining and implementing the investment strategy for 1,2 b€ AUM (office, retail, Logistics and diversifies assets). Thibault has 14 years of experience in the field of real estate for private and Institutional Investors. Antoine is founder, shareholder and Chairman of the Management Board of STAM EUROPE. Prior to creating STAM, Mr. de BROGLIE launched TRANSINVEST in 1992 as one of the first specialized real estate investment banking firms in France. Advising its institutional clients ranging from Vivendi to the SNCF (French railways) and the Caisse des Dépôts, on approximately EUR 1 billion of transactions each year. Antoine holds master degrees in Political Science, Economy, Law and Philosophy from the Institut d'Etudes Politiques of Paris and University of Paris. He is Chairman of the French ULI Council. Diplômé de l’edc paris business school et de l’université de ver­sailles saint-quentin-en-yvelines, arnaud monnet a débuté sa carrière chez aurel bgc en 2005. En 2012, arnaud monnet rejoint le groupe horizon pour prendre en charge la structuration de l’offre financière du groupe. A Polytechnique and Ecole des Mines graduate, Franck Lirzin has held various positions with the French Ministry of Economy and Finance. His career path since 2006 has taken him to the cabinet of the French Minister for Economic Affairs, Emmanuel Macron. Previously Deputy Chief of Staff for the French Secretary of State for Industry, Digital and Innovation, Franck joined Gecina as Executive Director Residential in 2017. Ecole Centrale de Paris (1981) et DEUG de droit. de 1982 à 1987, ingénieur chez BOUYGUES Bâtiment Habitat, de 1987 à 1997 Directeur Général d’HELVIM puis Directeur Général Adjoint de SOFAP-HELVIM. 1997, nommé Directeur des Activités Immobilières à la Chambre Syndicale du Crédit Immobilier. En 2002, nommé Directeur Général Adjoint de Crédit Immobilier de France Développement puis président de la Banque Patrimoine et Immobilier. de 2007 à 2017, devient Directeur Général de PROCIVIS de 2012 à 2015 élu Président de la FPI. A ce titre est nommé au Conseil d’administration de l’UESL Action Logement, puis au Conseil Exécutif du MEDEF. Devient en octobre 2014 Secrétaire général de PROMOGIM Groupe et depuis 2016, Directeur général délégué. Stéphane Imowicz began his career at the Caisse Centrale de Reassurance then in I3F group. He joined in 1988, as a valuer, the group Bourdais then, as a partner and member of the executive board, Bourdais Expertise. He created Ad Valorem in 1996 around the business of real estate valuation, buildings conversion, bloc sales and property management. Following the merger of Ad Valorem and Crédit Foncier in 2010, he became CEO of Crédit Foncier Immobilier, until 2014. Stéphane Imowicz also created in 2007 Belvi, company dedicated to investing and driving real estate development projects, which IKORY is the trademark. Stéphane Imowicz is also FRICS, Fellow of the Royal Institution of Chartered Surveyors. Xavier is a member of the Management Committee and the Board of Directors at AG Real Estate, a Brussels based real estate investor and developer with an international portfolio under management in excess of €6bn. As Chief Development Officer, he is responsible for all development projects representing a 800.000 m² pipeline. Prior to his current position, Xavier was Chief Operating Officer and Board Member at Cofinimmo, a diversified REIT with a €3.4bn portfolio. Xavier joined Cofinimmo in 2002 after five years in London with architectural firms Chapman Taylor and HOK Sport, now known as Populous. Xavier graduated from the UCL as Civil Engineer Architect, received a MBA from INSEAD and attended programmes at the Harvard Business School. Enrique is a Principal at Tyndaris Real Estate. Prior to joining Tyndaris, Enrique worked for Kildare Partners and H.I.G. Capital as part of their distressed principal investments team, having started his career at Houlihan Lokey in their special situations group in Europe. He has extensive knowledge in structuring and executing real estate and corporate transactions across asset classes, jurisdictions and investment products including preferred equity, mezzanine and senior debt, NPLs, secondary loans and direct equity. Marie Li is an Associate at QuadReal Property Group based in London. She joined QuadReal in 2016 and is responsible for transaction underwriting, execution and ongoing investment management of QuadReal's European portfolio. Prior to joining QuadReal, Marie worked for Goldman Sachs in Hong Kong. Marie holds a Bachelor of Commerce from the University of British Columbia and a MPhil in Real Estate Finance from the University of Cambridge. Olivier Estève is a graduate of the Ecole Spéciale des Travaux Publics (ESTP). Following a 12-year career within the Bouygues Group (1990-2001), where he had been Director of Development for its subsidiary, SCREG Bâtiment, he joined Covivio in September 2002.After having been Real Estate Director in charge of Major Commercial Real Estate Development Projects, he now oversees all of the Office development activities of Covivio, external partnerships and the coworking activity. Olivier Estève is Deputy CEO of Covivio since 2011. Yann Dauloudet a près de 20 ans d’expérience en développement et investissement immobilier en France et en Grande-Bretagne. Il était depuis 2015 responsable du pôle technique au sein de CDC GPI, la structure dédiée à la gestion d’actifs de la Caisse des Dépôts et Consignations. Auparavant, il a occupé plusieurs positions en entreprise générale et promotion immobilière, notamment chez Canary Wharf Group à Londres. With over 15 years of experience in real estate transactions and management, Christel is responsible for our investment activities in France. Prior to joining TH Real Estate in 2017, Christel was responsible for acquisitions, sales, asset management and financing of the office investments of Altarea Cogedim, with a total cost of projects over €2bn. 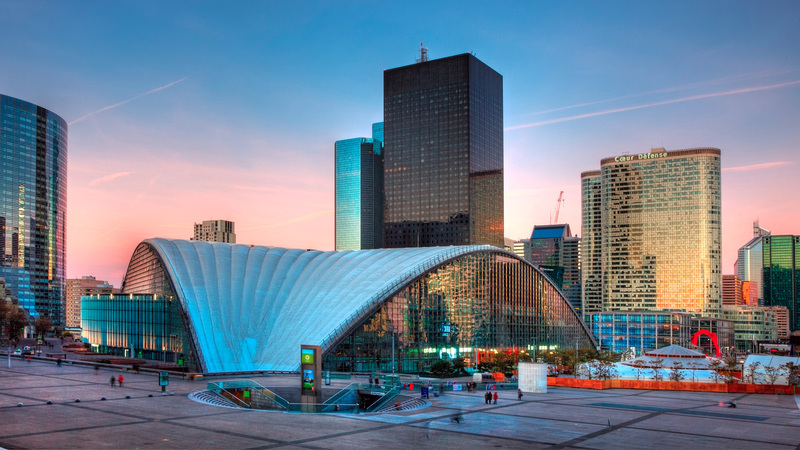 She was also responsible for transactions and financing of the retail projects of Compagnie de Phalsbourg in France. She has also managed various acquisition and repositioning of asset projects at GE Real Estate, and worked as a consultant at PwC. Christel graduated from HEC Business School and is a member of various French real estate professional associations. Cyrille joined Klépierre in 2014 as Head of M&A. From 2007 he worked for HSBC Investment banking in Paris where he started the M&A real estate team in 2009. Cyrille started his career at Deloitte in France and thereafter in the US doing due diligence for private equity funds. Marie-Anne is a partner who specialises in advising French and international asset managers and companies on their real estate transactions. Her expertise spans from investments to real estate development through divestments and real estate portfolio strategies with a specific focus on share deals and commercial leases. She is a manager in our internal team dedicated to legal innovation and urban development – the “LAB”. Marie-Anne has been a notary since 2015 and has PhD in real estate law. Before joining Cheuvreux in 2003, she worked at law firm Blake Lapthorn Linnell in the UK. She speaks French and English. Pierre Popesco has 30 years' experience in real estate and has developed a broad practice assisting mainly corporate investors and property developers in France and abroad. He advises on all aspects of real estate law: acquisitions of property and interests in property companies, disposals, creation of funds or partnerships, property development transactions, commercial leases, planning and development law. Before joining CMS Francis Lefebvre Avocats in 2018 with his team, he was partner in the Real Estate Department of Herbert Smith Freehills office in Paris, which he created and headed during 12 years. He is ranked in Band 1 for "Leading Lawyers – Real Estate" in France in Chambers Europe 2018. Sébastien Chemouny - Head of France at Allianz Real Estate With an engineering degree from the Ecole Privée des Sciences Informatiques, he began his career in the IT departments of AXA-UAP then Dexia before joining GE Real Estate in 1999 where he was Head of portfolio management in France and then Europe. In 2005, he became Asset Manager for GE North America Debt in San Francisco. He joined Allianz Real Estate France in 2009 initially as director of portfolio management and asset management. In 2012, he was appointed Head of Asset Management and Property Management of Allianz Real Estate France. Since 2017, he is Head of France of Allianz Real Estate. Sebastien Pezet joined Generali Real Estate in 2001. Nominated as Head of the French Branch in 2015, he is also in charge of Benelux from January 2018 with a total portfolio of €9 billion. Previously he was Head of Asset Management. Sebastien obtained a Master in Economics and a Master in Real Estate from the University of Paris Dauphine, and is a Chartered Accountant. Alexis Trancart is Senior Originator at Aareal Bank based in Paris, responsible for the origination and structuring of senior and junior loans secured against French real estate assets. He started his career at Pfandbriefbank in London where he held origination and underwriting positions with a pan-European focus before specialising in the French market when he moved to Paris in 2010. Alexis holds an MSc in Real Estate Investment from Cass Business School. Entrepreneur and Senior executive with strong business development capacities Strong experience in team Management, in Investment process and solid track record of Real Estate Transactional experience across both France and Continental Europe. Very strong personal and professional ethics (RICS) Experience in working in Anglo Saxon environment, Reporting to German Board (IVG Asset Management Immobilien AG). Experience of Rising, Investing and Managing Prime portfolio 2.3 billion € Offices and Retails. More than 20 years’ experience in alternative Asset Classes as Executive Manager and Investor working cross-border with international clients and Funds Manager. Block sales with Institutional investors. François graduated from ESSEC and Panthéon Assas university (M2 in notary law). François worked previously at Catella & Unibail-Rodamco (Investment) before launching Colonies with two other cofounders - Amaury Courbon (ex- Jaïna Capital) and Alexandre Martin (ex - Rothschild). They had a first entrepreneurship success with Gansky, a society specialized in flatsharing for students. With Colonies, they target to create a new urban housing experience for a broader audience. He is a member of the RICS. Prior to creating MoZaïC, Frédéric was the President of B-Patrimoine. During his 9 years tenure at this owner and operator of nursing homes in France, Frédéric created the group’s operating model and processes. With an emphasis on the quality of its designs, B-Patrimoine funded, developed, built and delivered 11 nursing homes representing around 50.000m2, raising in excess of 38M€ in equity and 70M€ in debt financing. He successfully negotiated the sale of the group’s operations to the largest nursing homes operator in Europe. Prior to that, he held various positions within HSBC Investment Bank in London (3 years) and Lazard (New York and London, 6 years), originating and executing mandates in the UK, France and the US. Jay Kwan joined QuadReal as Managing Director, Europe in February 2018. His focus is on building the international portfolio, with an emphasis on investing in Global Cities in the U.K. and Europe. Jay was formerly a MD at TPG Real Estate, the real estate investment group of private equity firm TPG, specifically focused on European investments. Prior to joining TPG in 2016, Jay was a Partner at Grove International Partners, where he spent 13 years investing in three continents across all asset classes at both the corporate and asset level. Jay began his career at Lehman Brothers Real Estate Partners in New York in 2001. Jay graduated with a BA in Economics and Political Science from Columbia University in New York. Marc Lebreton trained as both a biologist and computer scientist. After his initial experience in real estate, he worked in the Finance team of Caisse des Dépôts et Consignations, and went on to create and manage several consultancy and tech institutions in France, the US and Africa. He is the founder of VieJeune and Happy Senior. Stéphane Bensoussan a rejoint Montefiore Investment en 2017 en tant qu’Associé pour l’activité immobilier. Stéphane a débuté sa carrière en 1996, dans le département Fusions et Acquisitions de Lazard, où il a participé à plus de 20 transactions. Il rejoint HSBC France en 2001, où il crée et dirige la division immobilier et hôtellerie de la banque d’affaires. En 2013, il devient co-directeur Fusions et Acquisitions pour l’Europe, le Moyen-Orient et Afrique. Il a eu la responsabilité de nombreuses transactions, en particulier dans le domaine immobilier. En 2013, il devient co- responsable du département fusions et acquisitions pour la zone EMEA Stéphane est diplômé de l’Ecole Polytechnique, de l’ENSAE et de la London Business School. Florent de Malherbe has 20-year experience in the real estate industry and has been Managing Partner of Colyco Capital a property investment and asset management company based in Paris since 2017. From 2006 to 2016 Mr de Malherbe hold various senior positions in leading property compagnies. Over this period Florent de Malherbe successfully managed, purchased, sold, or developed more than € 15 bn of European assets. From 1997 to 2006 Mr de Malherbe was involved in major M&A and real estate transactions at Deloitte, KMPG and CBRE. John Wilkinson is CEO and founding member of Greenman Investments. He has been managing the company since 2005. While working in leading positions for more than 15 years, John gained a significant expertise in the selection, funding, purchase and management of German Food and Non-food retail warehousing. Since forming Greenman Investments, the company has acquired, managed and sold real estate projects to a total value of €279m. Luke is Co-Managing Director at Thor Equities and Head of European Investments. He is based in London and covers transactions for all key European markets. Following his BAHons in International Business Management and Commercial Real Estate (PgDIP), Luke joined Knight Frank where he qualified as a Chartered Surveyor (MRICS). Luke spent 15 years at Knight Frank initially in London, before moving to the Paris office where he became a Partner and Head of International Investment for France. Luke has worked on investment transactions throughout Europe, and has carried out transactions in all principal asset classes with a total investment volume of around 3.5billion USD. Norbert Müller is Managing Director at pbb Deutsche Pfandbriefbank, in charge of Real Estate Finance in Continental Europe West (Scandinavia, Benelux, France and Spain) with teams in Paris, Stockholm and Madrid. He has been working in the property industry for more than 25 years of which more than 10 years as International Director in the Capital Markets Group at Jones Lang LaSalle. Norbert Müller has in-depth knowledge of and experience in most of the real estate markets on the Continent, including Germany. He speaks fluently German, French, English and Dutch. Avant de prendre la présidence de CIIAM, Romain FRÉMONT était président de la société Icade Asset Management où son rôle était de structurer et de développer l’activité d’Asset Management et des systèmes d’information. Romain Frémont était précédemment Directeur Général Délégué du pôle services à l’immobilier d’Icade, où il a dirigé des sociétés de gestion de résidences étudiantes, de property management, de conseil à l’investissement. Il a été également Responsable du pôle financement des infrastructures à la Caisse des Dépôts . Il a commencé sa carrière au sein du groupe Natixis en charge des plans de financement des PPP, avant de rejoindre la CDC pour financer les infrastructures de transports, les hôpitaux et les universités. Technologies & Innovations Immobilières- Centre de coûts ou réel apport de valeur? Edward is the CEO of STAM Europe and is responsible for the management and the investment strategies of the firm. Prior to joining STAM, Edward was Co-head of Real Estate at Doughty Hanson and a Founding Member of Orion Capital Managers. He is involved in fund raising, acquisitions, asset management and dispositions across the STAM portfolio. Elise Masurel joined Klépierre as Group Head of Marketing in December 2015. In addition to marketing, she oversees Klépierre’s digital ecosystem and open innovation initiatives, customer and social relations, and Klépierre’s “phygital” offering for retailers. Prior to joining Klépierre, she spent 10 years at Club Med in various positions, including most recently Marketing & Sales Director for New Markets in Europe and Africa. She has also held product management roles at Kraft Foods France, Danone International Brands and Louis Vuitton. Elise Masurel holds a master degree in Management & Marketing from the University of Paris Dauphine. Inès Reinmann began her career in 1980 with the Dumez group. In 1988, she joined Bouygues as Development Manager. She then continued her career at Coprim from 1989 to 2000, where she held various management positions. In 2000, she became MD of Icade Tertial, In 2004, she became the Business Property Market Director at Icade. She is also the President of Icade EMGP, Icade Tertial, Icade Eurogem and Icade Gestion Tertiaire. In 2007 she was MD for Continental Europe at Segro PLC. In 2010 she was appointed partner at Acxior and CEO of Acxior Immo in 2012. In 2014, she becomes Managing Director in charge of Real Estate and Member of the Board at Edmond de Rothschild Corporate Finance. Robin worked at the BCG before serving as special advisor to the CEO of Paris Airports. After Brexit, for two years, he was appointed CEO of the agency in charge of attracting foreign investors in the Paris Region. In 2017, as a side-project, he founded Real Estech®, which is the largest RE tech hub in France with more than 250 start-up as members. In 2019, he launched a €25m venture capital fund investing in early-stage construction and RE start-up. He published 7 books, some translated in English and Chinese, on the safety net in digital era, the housing and labor markets, metropolitan areas. He had been the economic advisor of Bruno Le Maire, current French Minister of the Economy, and Valérie Pécresse, Governor of the Paris Region. Sophie Colin Sansier joined Generali Real Estate as the Head of Investment and Divestment for the French Branch in 2014. Prior to this date, she has developed a consolidated experience during more than 15 years in the real estate market, holding senior positions such as Head of Investments in Beacon Capital Partners France and in charge of development, disposals and renovations for third parties at Bouygues Immobilier. She graduated from the ESSEC and holds a Master’s degree in economics and in finance. CDC GPI est une filiale détenue à 100% par la CDC et réalise l’investissement, l’asset management des actifs immobiliers et la gestion financière du portefeuille immobilier de placement de la Direction Financière de la CDC. Global asset manager offering extensive range of investment solutions guided by robust and repeatable philosophy / process. Swiss Life Asset Managers Real Estate is a leading European real estate investor and asset manager, with more than 120 years of experience, managing c. 69 billion euros of real estate assets throughout 12 countries. Founded in 2011, manages non-listed RE funds (SCPI, OPCI, SCI) dedicated to retail and institutional investors. Real-estate investment and asset management platform for institutional investors seeking to expand their presence in the French and European markets. Hines France created in 2013 an Investment Management team which manages today a portfolio of nearly 2 billion euros for its own account or for third parties. HRO is an international property developer and investment advisor. We design, build and manage class leading state-of-the-art real estate in strategic locations in Europe and the United States. Union Investment provides customised real estate solutions to meet the requirements of private and institutional asset allocation. Frédéric Bôl is the founder of Swiss Life REIM (France) and Head of RE France - Swiss Life Group. He has 30 years of experience in asset management, banks and insurance companies. He created AF2i (French Association for Institutional investors) in 2004 and participated to the creation of OPCI (French non-listed REIT). Since its creation, Swiss Life REIM (France) is leader on the OPCI market and AIFM approved, offering real estate tailor-made solutions for institutional investors with 3 missions: investment funds, portfolio management & asset management. The Real Estate in France represents more than €7,3 bn as of end of December 2015 through 38 real estate vehicles with multi-sector competences and employs 90 people. real estate investors, lenders and developers. The collegial discussions enable you to interact and engage - much like an after-dinner conversation in your own living room. Identify like-minded peers, build relationships and continue conversation afterwards. With more than 800 lawyers in 73 offices & 41countries CMS Real Estate practice is the largest in Europe and one of the biggest worldwide. Cheuvreux is the largest and most innovative full-service notary law firm in France. Dentons is the largest global law firm with a leading 450+ Real Estate team in 28 offices in Europe and UK, advising on complex investment projects. Herbert Smith Freehills is one of the world’s leading professional services businesses, bringing together the best people across the globe, to help you realise opportunities while managing risk.